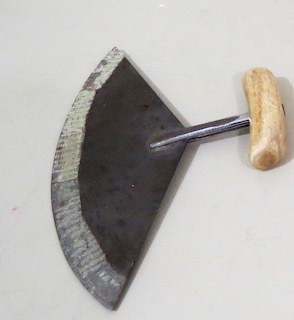 inuit tools | What Next? 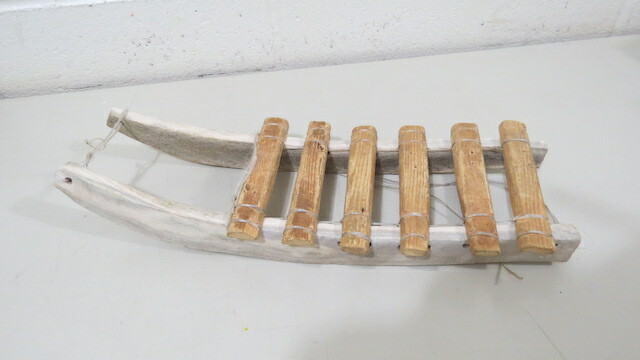 I am getting ready to do an Inuit tour at the Winnipeg Art Gallery for a group of alumni from an American University. 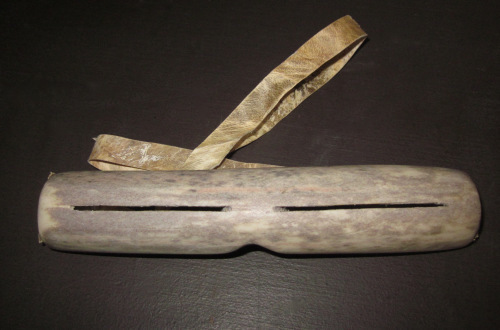 I plan to show them some of the Inuit artifacts we have at the gallery and connect them to some artwork we have had on view at the Winnipeg Art Gallery in the past. Use: This weapon is thrown at flying birds. The weighted cords spin and open wide to entangle the bird. 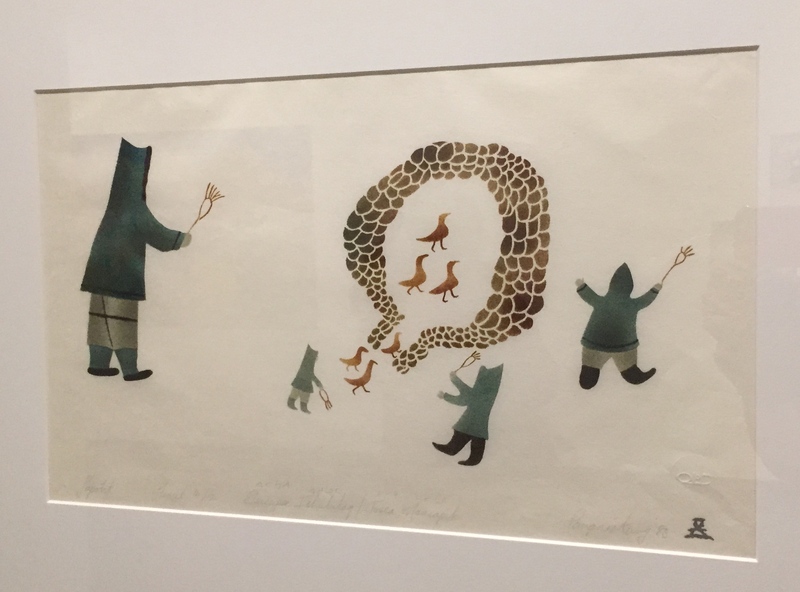 In this print by Elisapee Ishulutaq you can see bird hunters capturing prey. 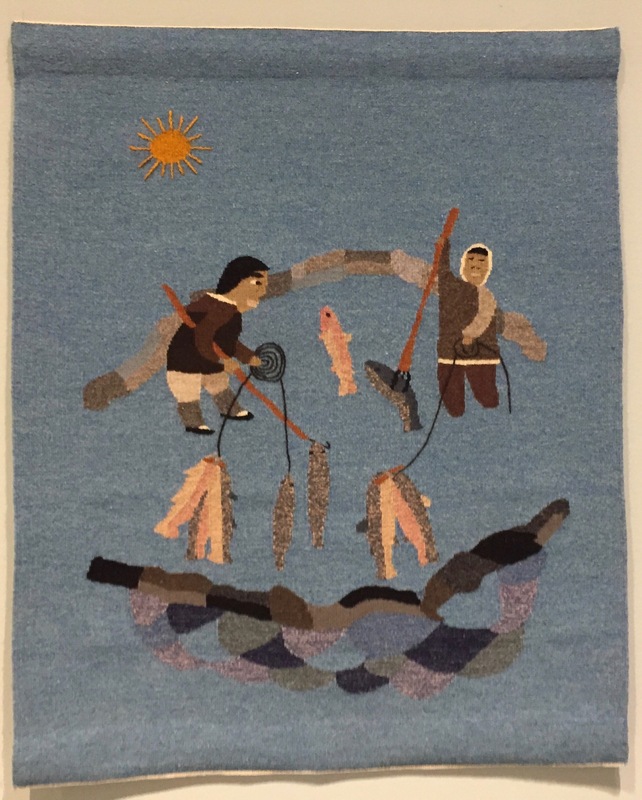 In this wall hanging by Martha Kakee we see Inuit fishermen at work. 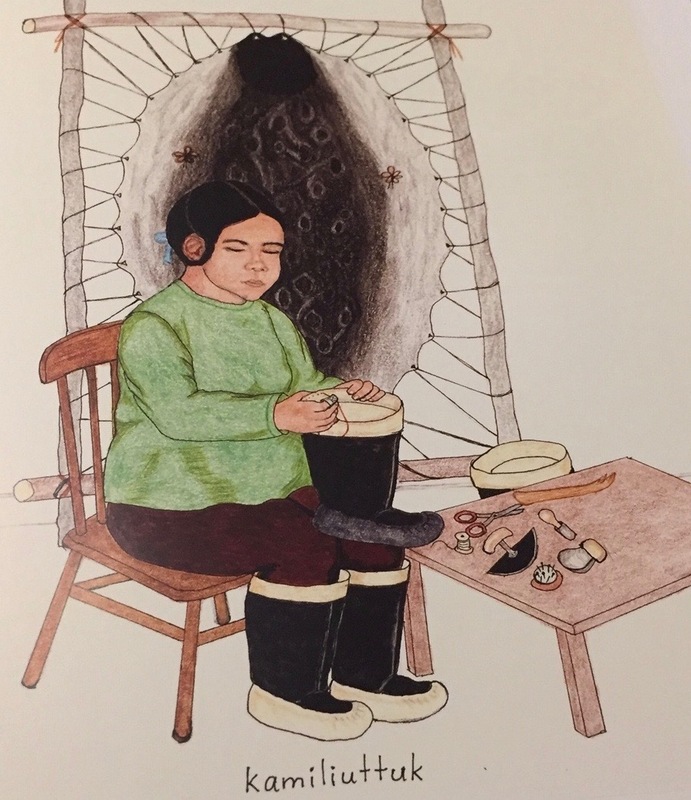 Use: skinning and cleaning animals, cutting hair, cutting food, cutting sinew for sewing In this pen and colored pencil drawing by Tabea Murphy you can see the ulu on the table of the kamik maker. 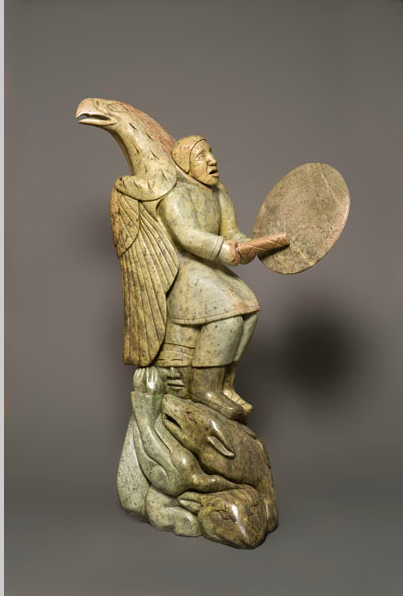 If you look closely you can see a person wearing snow goggles in this Brazilian soapstone sculpture by Abraham Ruben called Spirits of the Great Hunt. 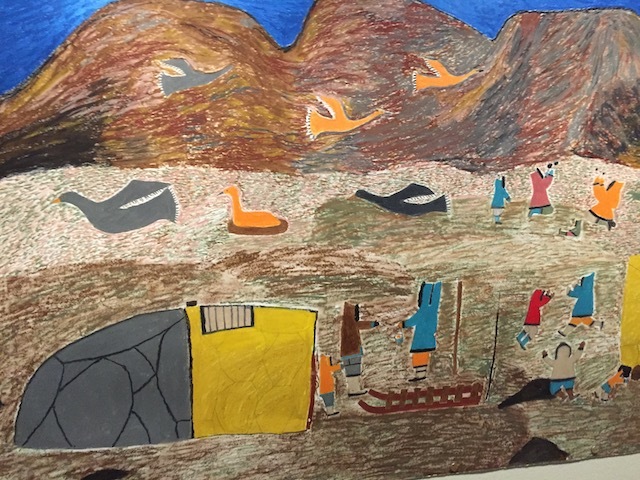 You can see a qamutiik (sled) outside the door of the sealskin tent in this section of a mural by Elisapee Ishulutaq. 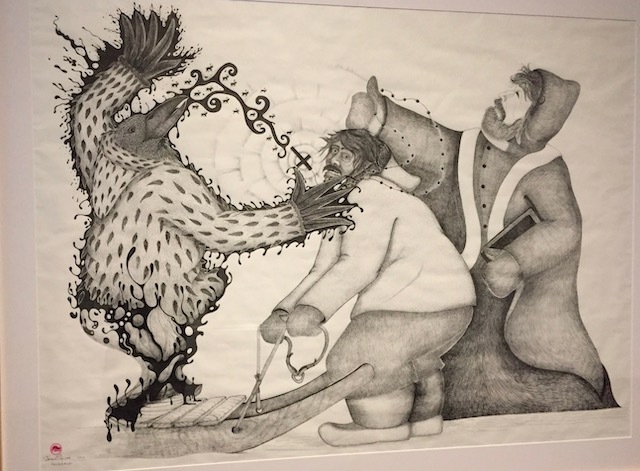 In this pen and ink work called Sacrilege Jason Shiwak critiques colonialism and Christianity. The man with the qamutiik (sled) is trapped between a Christian missionary and a shaman transforming into a raven. I still need to find connecting artworks to a number of other artifacts to prepare for the tour. Perhaps I will share them in a future post.